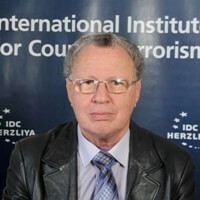 The evaluation of the Israeli intelligence claimed that Iran was not involved in the two operations and some even claimed that Iran was opposed to the Hezbollah move at the time as counter-productive to Iranian interests. 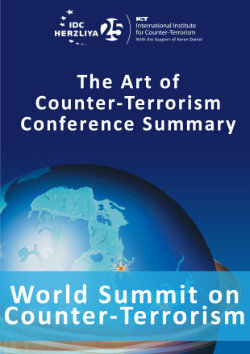 This author’s evaluation at the time, and since, was that Iran was indeed involved in the decision of the two operations, mainly as a message to the 15 July 2006 G-8 summit due to decide on sanctions against the Iranian nuclear project, and as a deterrent threat to the United States and Israel: to show them the Iranian resolve to continue the nuclear program and at the same time exhibit the capabilities of Hezbollah, which already possessed some 14-15.000 rockets and missiles provided by Iran. “Hizballah as Strategic Threat to Israel,” Heartland. The Power of Israel (Eurasian Review of Geopolitics), June, 2-2005, pp. 22-48. “Palestine, Playground for Islamist Actors,” Palestinian-Israeli crossfire, bitterlemons-international.org, May 1, 2006, Ed. 17. The chapter ‘The Second Lebanon War (July–August 2006), pp. 57-59 in "Iran–Syria-Hizballah–Hamas: A Coalition against Nature. Why does it Work?" Proteus Monograph Series, Volume 1, Issue 5, May 2008, Center for Strategic Leadership, U.S. Army War College, Carlisle Barracks, PA., USA. Savyon and Carmon’s evaluation that like in 2006, “in the current crisis Iran is again in need of a provocation against its rivals in the region, similar to or even more blatant than the aforementioned, to deter them from continuing to pressure it and to prevent harm to its regime and to the resistance axis, especially Syria,” seems quite sound. Hamas has already left the Iran coalition in favor of the Egyptian and the larger Muslim Brotherhood camp. Moreover, the prospect of an uprising in Iran on the Syrian example worries tremendously the Iranian leadership. The Iranian threats “to attack Israel and to spread the Syria crisis to other places” should be therefore taken seriously. Using the Syrian crisis as a pretext, or if it will evaluate that an American or Israeli military attack on its nuclear facilities is imminent, the Iranian leadership could try to preempt it by supporting a major provocation to drag Israel and possibly the West into a regional violent crisis. This could be done by a major multiple long range missile/rocket attack from the Gaza Strip, or the Sinai, to the urban area near Tel Aviv by a proxy like the Palestinian Islamic Jihad, even contrary to Hamas’ present interests, which could constrain Israel to retaliate strongly in Gaza and thus provoke a major crisis with Egypt. Hezbollah, and the Lebanese people could again be the sacrificed pawns, if the Iranian religious leadership will evaluate that a major Hezbollah terrorist or missile provocation will drag Israel into the Lebanese trap. Those who evaluate, as they did wrongly in the past, that Hezbollah’s Lebanese interests and internal political agenda will prevail and Nasrallah and the other leaders will disobey orders from Tehran, do not grasp the umbilical religious, political and economic bond to Iran. Hezbollah’s behavior in the Syrian crisis is a good example of the length to which its leaders are ready to go in order to preserve the Iranian influence there and their own survival as the major Lebanese force. Hezbollah without a strong Iranian patron and a Syrian sponsor would in any case become a Lebanese Shiite lone actor surrounded by revengeful Sunni internal and external enemies. There is therefore need in the next weeks and months for a careful monitoring of Iranian, Syrian and Hezbollah declarations and operational moves and at the same time deterrent declarations and moves by the Israeli, US and Western leaders. N.b. : Contrary to the evaluation by A. Savyon and Y. Carmon in their above mentioned article it is doubtful that the Syrian regime will use chemical weapons against the rebels, or against Israel. Bashar al-Assad, like Saddam Hussein at his time, understands that this would be a suicidal move and not a card to change the tide against his regime.